Canadian harpist and composer Sharlene Wallace is a diverse musician performing, recording and teaching on both lever and pedal harps. Winner of the Lyon & Healy International Pop & Jazz Lever Harp Competition (USA) and the Dinan Concours d’Improvisation de Rencontres International de Harp Celtique (Brittany), she has given concerts and workshops across Canada, the United States, France and Italy. Sharlene’s seven CDs express journeys of rhythm, spaciousness, the Canadian landscape, Classical, Celtic, South American and original music. Her most recent CD, In Night’s Deep Silence, is a tranquil Christmas album for harp and bass (George Koller). As well as solo concerts, Sharlene tours with George Koller (bass) and the Christmas quartet Harp & Holly (Sandra Swannell, fiddle, viola, vocals, Terry Young, finger-style guitar, vocals, Rob Ritchie, piano, vocals). She is also a member of Iona Passage with Anne Lindsay (fiddle) and Eric Robertson (piano). Sharlene continues to give workshops across Canada including annually for CAMMAC (Quebec) and Island Mountain Arts (BC). 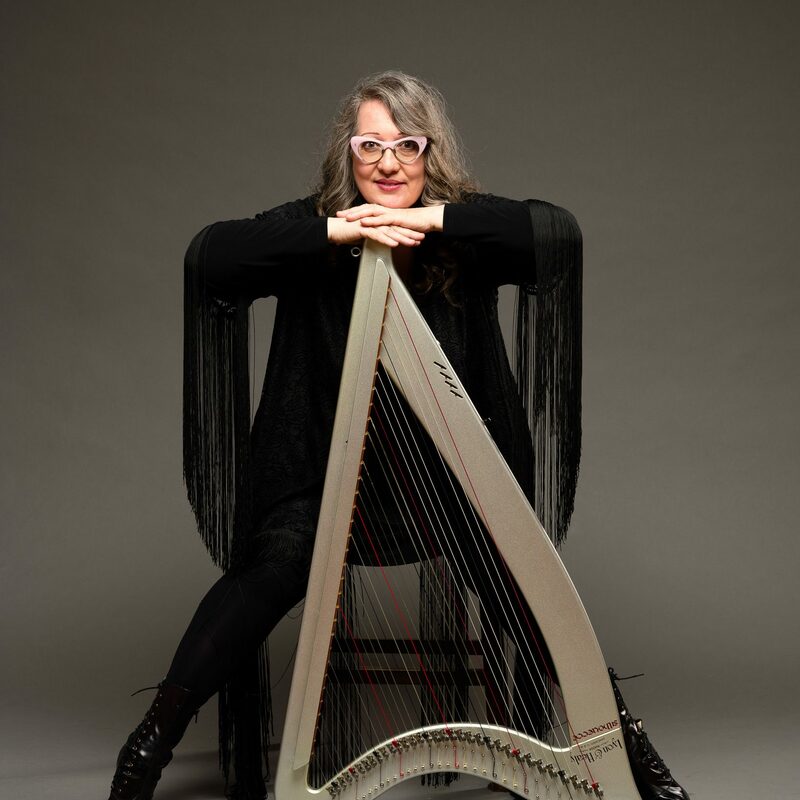 She also teaches both Celtic and Classical harps at Wilfred Laurier University, University of Waterloo, York University and University of Guelph. Her own harp performance degree is from the University of Toronto where she studied with the eminent Judy Loman. Sharlene has also been guest soloist on both Celtic and Classical harps with orchestras throughout Ontario. Sharlene is principal harpist with Guelph Symphony, Kingston Symphony and Oakville Symphony.